You know the scenario all too well. There are issues to troubleshoot, project management tracking to do, project cost controls to implement and project resource scheduling to review. Then on top of that some of your more "difficult" project management stakeholders ask to see your contingency plan. You want to start screaming. Contingency plans? Don't these people realise that you are finding it hard enough just to deliver the project management basics let alone worrying about what are nothing more than peripherals? Let's be honest. Unless you love generating paperwork, spending time writing a contingency plan looks like an absolute waste of time your precious time. After all there are so many other tasks which if you don't concentrate on them now, your project won't launch. It means that planning contingency for risks which might never happen doesn't seem like a good use of time at any stage of the project management life cycle. I admit that I certainly fell into this category when I first became a project manager, and in fact even keeping a risk log with the project risks appeared to be just another "paper" exercise. Certainly when confronted by project managers who fanatically follow a project process and spend ridiculous amounts of time creating ever more convoluted plans, this can seem like the right thing to do. However I have learn't over 13 years of interim project management, that project manager's who avoid this deliverable completely are simply storing up problems for the future. As in all things though there is the smart way to do this and well, the other way. One thing you do need to remember is that simply doing this work will not give you any tangible additional benefit, in much the same way that simply having a risk log won't help much either. 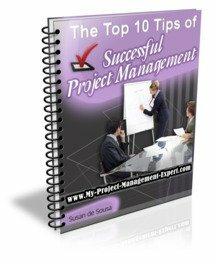 That is it won't enable your project to magically delivered according to the plan and within the project budget set. No for that to happen I'm afraid that you need to be Aladdin with a genie at their beck and call! So in the real world, the important thing is to follow the 80 / 20 rule and concentrate on contingency planning for the risks which would de-rail the project the most, coupled with those most likely to occur. This way you can do the minimum amount of work for the maximum gain. Determining these should be easy. A combination of common sense and scoring within your risk log should provide you with the top 10, which you can then detail a project contingency plan for. The beauty of this is that once you've done put in the initial effort, there is very little work required afterwards. And in the worst case scenario of one of these risks occuring; well you will have a project contingency plan all ready to put into action. That is why smart project manager's take the time to contingency plan. It means that when things go wrong (as they always do on a project no matter how well it is managed) you always have a plan B to fall back on.